Bedford County authorities have arrested the fourth suspect in a murder case. There's been another arrest in a Bedford County murder case. Twenty-one-year-old Nadia McDaniel is also charged in this case. She's accused of breaking and entering while armed with a gun with the intent to commit robbery. 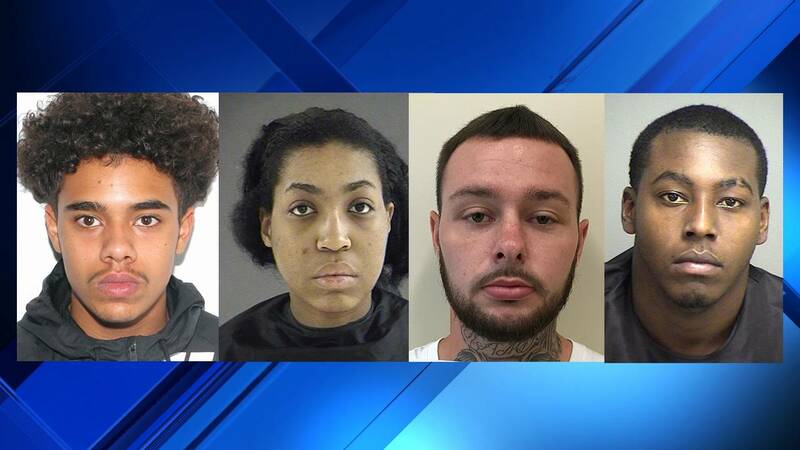 The Bedford County Sheriff's Office has arrested one woman, identified one man, and is searching for two other suspects in connection to a murder earlier this month. Investigators from the sheriff's office arrested 21-year-old Nadia McDaniel on Tuesday night and charged her with breaking and entering while armed with a gun with the intent to commit robbery. Authorities say McDaniel is being held in the Blue Ridge Regional Jail without bond, and that additional charges against her are possible as the investigation continues. Sheriff's office investigators also say they have a warrant for 23-year-old Trevor McIntosh, charging him with second-degree murder of Aaron Brumfield. The sheriff's office says they are still seeking any information on the location of McIntosh who remains at large. Investigators are also asking for the public's help in identifying the two other suspects. One suspect was seen in photos wearing a white shirt and dark pants. The second suspect is seen in photos wearing a dark color sweatshirt with writing on the front. Anyone with information is asked to call the sheriff's office at 540-586-7827.